These kids puzzle mats can be used to build colorful boxes, structures, or a soft play area. 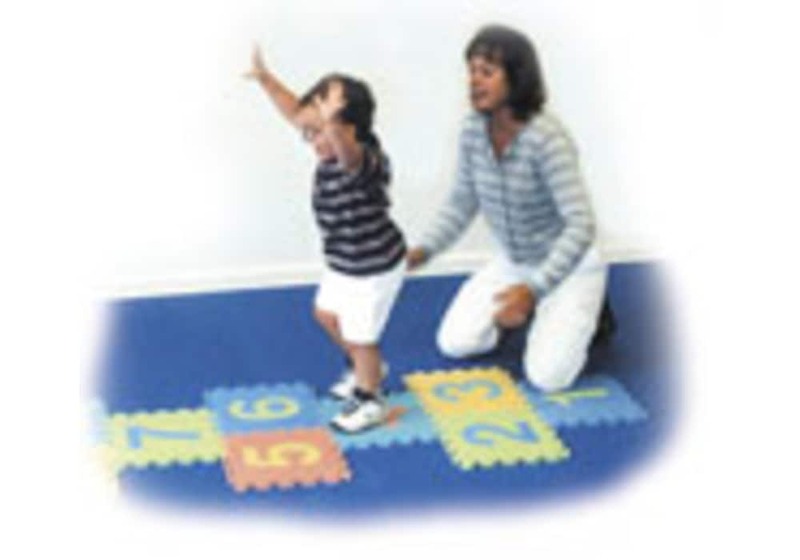 Great for developing a child's aptitude, creativity, and social play. 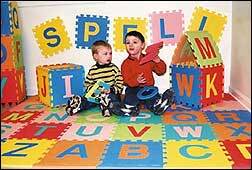 Number & Alphabet Puzzle Mats have colorful, removable, cut-out numbers and letters to challenge children. They are waterproof and easy to clean. 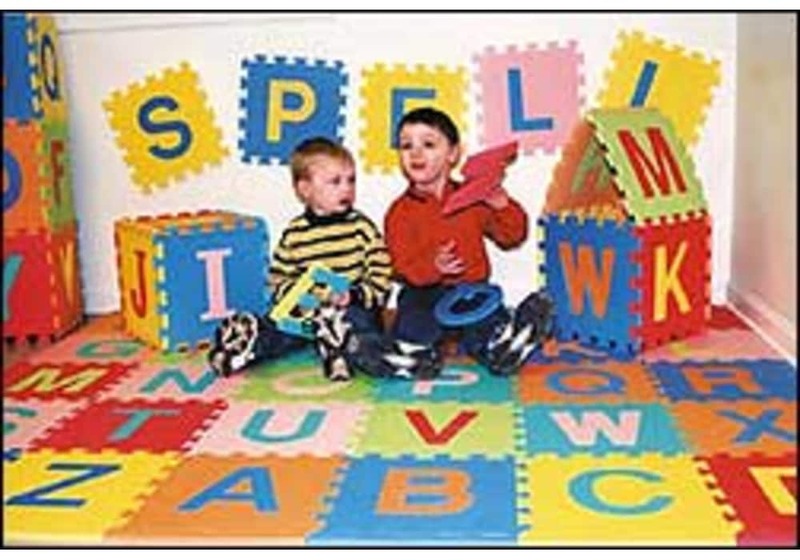 Small enough to fit anywhere, these abc connecting mats are easy to disassemble for moving and storage. When assembled, creates a 38 sq.ft. foam puzzle mat with 36 pop-out number (0-9) and upper case or lower case letters (A-Z) and edging around the perimeter. Creates a floor size of a little more than 6'x6'. Made from durable, light weight, high density EVA (Ethylene Vinyl Acetate) foam. Colors include red, green, blue, yellow, purple and orange. Actual colors may vary slightly. Available with upper case or lower case letters.